art, crafting, design, vintage finds and other lovely things. A couple weekends ago, Ryan and I went to goodwill and half-price books and came home with some great things for very little money. We were focused on finding some vintage paperback books of some of the classics. For one: to read, and two: because vintage paperback books just look awesome. Much cooler than new ones. 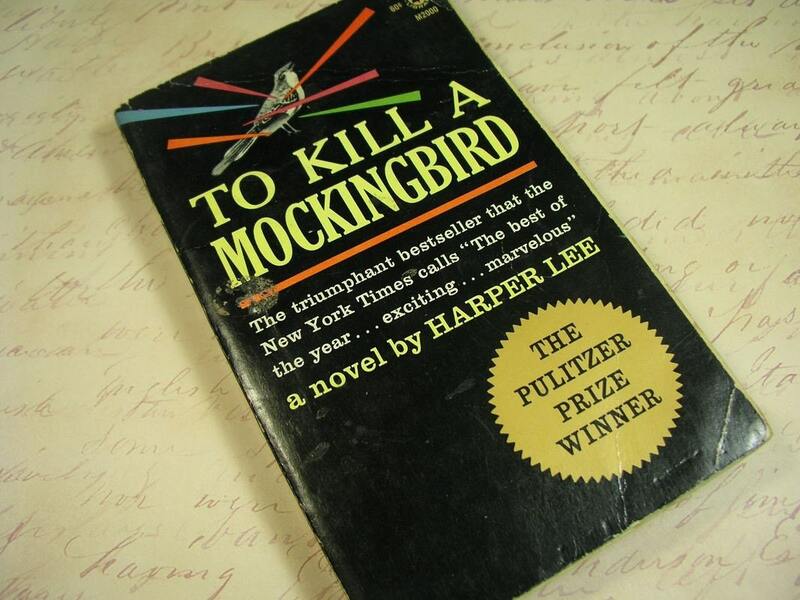 I've been wanting to read "To kill a Mockingbird" for a long time, and just never got around to it, but we found a copy of it at half-price books and I ordered a really cool 1962 version of it on etsy, (above). Now I have no excuse. Below is a list of what we found, and photos. I thought it would be really neat to see all of my sales on a map, and it turns out, it is! It's really fun to look at all the different places where someone has purchased something that I made. I've recently noticed the great work of Sarah at The Small Object and her Steno Pad blog. She is so talented and has so many great ideas. Her drawings are just incredibly cute. Check out her adorable stamps setsand paper goods on her website. To top the cuteness off, she actually has free downloads of things that she's created and they are so useful and so adorable. I have already printed off some notecards and shipping labels. You can find those on the left side of her blog under "Happy Fun Free Downloads". Sale going on at my Etsy shop! It is such a beautiful day for a sale. Maybe it's the fall-like weather or the fact that I just got electricity back in my apartment after 3 days, but either way, you get to celebrate with me! Make a purchase over $20 and get free shipping! That's all you have to do. Load your cart with at least $20 worth of items from my shop, and I'll just refund the shipping cost back to your PayPal account! Sale is now through Monday the 22nd of September -- the first day of fall! This is just gorgeous and so inspiring. I love the neutral tones and patterned wallpaper with the punches of turquoise. The dramatic ceiling to floor white curtains combined with the white trim just a foot or so beneath the crown molding really add a lot to this room also. I love this "clouds" print from oddhero. I came across it on design*sponge and would definitely have it on my wall if not for the $400 price tag. print area: 25.5" x 41"
something's hiding in here's abode: view more. Trine of Ferm Living: view more. Sabrina of hello!lucky: view more. 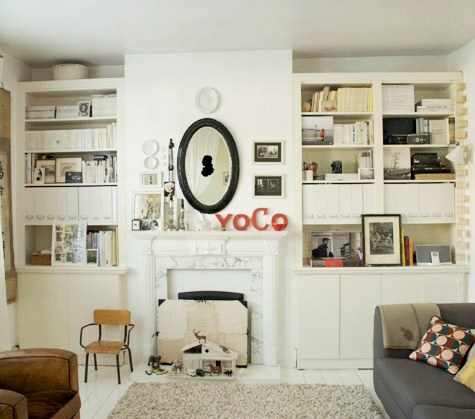 emma cassi's home: view more. Andy Pratt and Sarah Coombs home: view more. I came across this awesome library card making tutorial on craftlog.org today, and wanted to share it with you. It was posted way back in '04, but I just found it, so it's new to me :) It's all the steps you need to make these cute library cards and holders for your personal home library. I may make some of these for myself, but instead of printing them with a gocco, (because I don't have one) I'll probably use the laser printer or stamps. visit my new shop at big cartel!